Supermarket shopping is available at three locations: ALAU Umagico Supermarket operated by the enterprise division of Council, IBIS Bamaga and Seisia Supermarket operated by Seisia Enterprises. 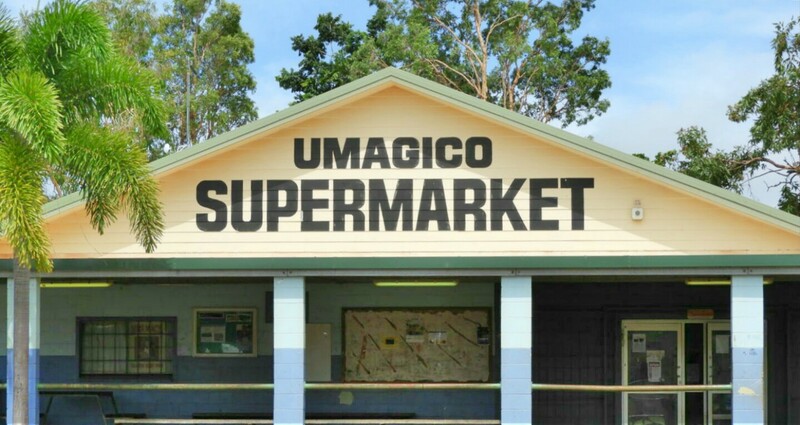 Smaller stores are available in Injinoo at the Injinoo Servo and New Mapoon General Store. Bamaga Bakehaus owned and operated by Bamaga Enterprises provides fresh bread products, cakes and sandwiches. Dine in options are available at the Bamaga Resort and Seisia Holiday Park kiosk.